. : About TigerZilla Furnishing :. 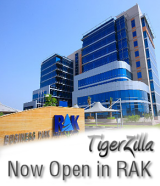 TigerZilla Furnishing is part of the TigerZilla Group with offices and warehouses in Hertfordshire (UK) and Ras Al Khaimah (UAE). TigerZilla Furnishing was set up in 2009 and we have successfully completed hundreds of projects in the UAE, UK and Oman. At TigerZilla, we offer a tailored and personal service that encourages our clients to return to us every time they use our services. Our roots started through recommendations and referrals and wish to continue to do so by providing a personal yet professional service before and after sales. Our customers are our greatest priority. We strive to provide the utmost levels of service and support to our clients at all times throughout the process. We only work with reputable and proven suppliers, agents, developers and staff to ensure 100% customer satisfaction. Please take your time to look through our web site about all of our services we offer, or contact our team to find out more. Copyright © 2009-2019 TigerZilla Group. All rights reserved.